What does the term workloading mean? A commonly accepted definition is the hypothetical relationship between a group or individual human operator and task demands i.e. the amount of work performed or capable of being performed (as by a mechanical device) usually within a specific period. Is The Cleaning System a piece of software or a system for implementation? The Cleaning System is a visual bidding, estimating and workloading tool/software that enables cleaning service providers and facilities management companies to accurately visualise each potential cleaning job before they commit to it - knowing exactly how long to allow and the number of team members to allocate to it. It is both proven and ideal for hospitals and healthcare facilities, hotels, colleges and universities, and public buildings, to name a few. What makes The Cleaning System unique/different? You can also quickly, easily and accurately assess how long it takes to clean a single area, how changes to a job (for example, its frequency) can impact your bottom line, and create reports for each of your contracts and individual staff members. 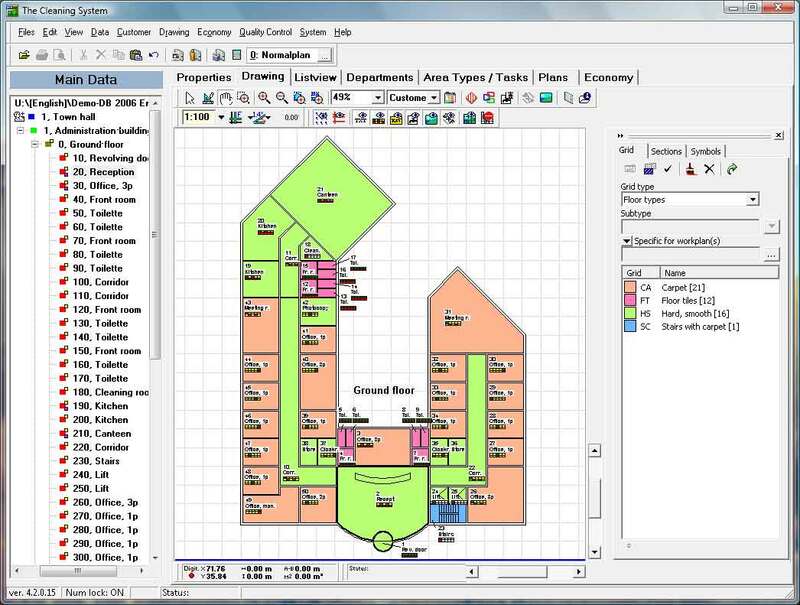 And all this through a visual interface with dynamic floor plans, so you know what you need to do at all times. The visual interface starts off with The Cleaning Systems unique and accurate method of importing the floor plans of a building. Do I need the AutoCad or Architectural drawings for the specific building for The Cleaning System's calculations? Do you provide a consultancy service for one offs or smaller clients? Yes, we can also assist smaller entities with their proposals and tenders/bids. Please contact us to discuss your specific needs. Where does The Cleaning System's productivity rates come from or on what is it base? The Cleaning System uses proven, scientific calculations instead of guesswork or ruel of thumb, and the standard productivity rates are based on industry standards that have been field tested with over 700 users, 100’s of sites, and in Denmark, Norway, Sweden, Finland, Germany, England and Belgium. You can also use your own productivity rates. Can I tailor The Cleaning System for my client, building and specific tasks? The Cleaning System can be tailored for each client, for each building and for each and every tasks and of course the frequensies to carry out each tasks etc. Or as metnioend before you can use the build in pre-populated productivity rates for specific rooms and tasks. Are the cost/pricing structure directly related to the cleaning regime, so changes or various cleaning regime versions can be calculated in realtime and can be presented to clients as alternative proposals? Yes. The strength of The Cleaning System is that once the floorplans and room and tasks details have been entered the user can quickly and easily assess how long it takes to clean a single area and the cost to clean it, or how changes to a job (for example, its frequency) can impact the bottom line or the scheduling of the cleaners. What are the pros of the The Cleaning System? What are the minimum PC requirements to install and run The Cleaning System? To ensure good performance we recommend it to be run on a PC with minimum specifications of: Pentium 4, 1.6 GHz processor, 2 GB RAM and 40 GB hard drive. As with most database applications, faster equipment results in faster application performance. We further recommend that the PC be equipped with a large screen, 20” or larger – preferably in widescreen format. Smartphones must use Android version 2.1 or newer. Fast access to the Internet is recommended for downloading program updates, documentation etc. is The Cleaning System available online or for Mac? An online/hosted version is in development. YES. Download a demo version The Cleaning System directly from the internet and try it free of charge and non-binding, on your own PC. The Demo version is a full program package with all included functions and modules! It is not possible to print out with this demo version. A little demo database is installed together with the program, with examples of how the program works in practice. To a limited extent you can also create, correct and delete new places. The installation file needs about 25 MB, and a minimum of 250 MB must be available on your PC, for the installation of the program.To get your demo complete the information on the Contact Us page. We will send you the link afterwards with installation instructions for the demo version. Is The Cleaning System demo fully functional ? Yes, The Demo version is a full program package with all included functions and modules! It is not possible to print out with this demo version. A little demo database is also installed together with the program, with examples of how the program works in practice. To a limited extent, you can create, correct and delete new places too. How much does The Cleaning System cost and where can I buy or download it? 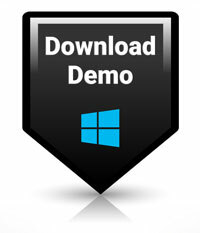 Please contact us for the latest prices and for buying and downloads or register on our website to download the demo. We strongly advise people to look at the demo video or slides as the software can look very daunting for first time users. Do you offer worldwide support? It is possible to support our clients worldwide via the internet with remote support software but keep in mind language is one limitation and internet speeds another for remote software assistance and log in or control such as TeamViewer. You can download a full Demo by registering your details.